Since Diablo was first released way back in 1996, the dungeon crawling action RPG hasn’t had big innovations in gameplay. 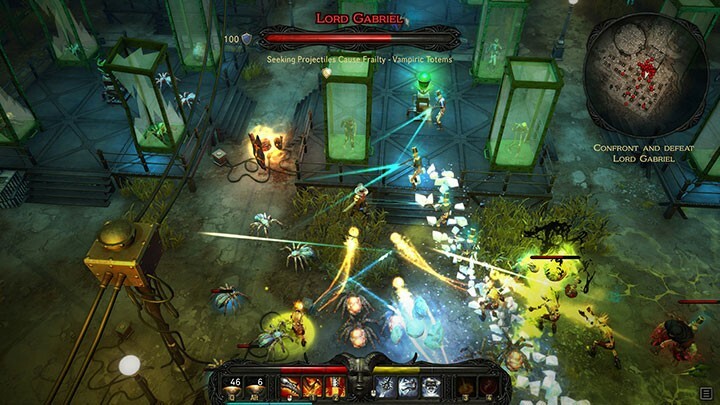 Most games in this category have the same standard list of features: an isometric top-down view, skill bars, and lots of loot drops. Sure, there’s variety in how each game mixes up its characters, abilities, and lore, but they mostly all play in the same clickfest-style. Victor Vran tries to breathe some fresh air into the ARPG genre by adding some mechanics that are typically only found in 3D action games. You can dodge, jump, and even rotate the camera a full 360 degrees, injecting in some fun reflex-based gameplay between frantic mouse clicks. 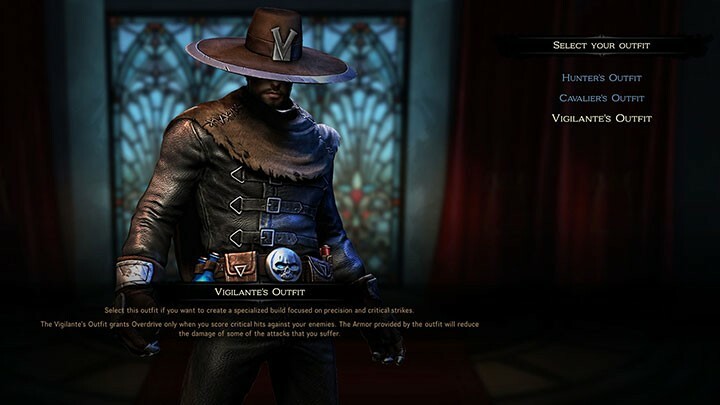 Along with some interesting ways to customize your character, Victor Vran has all the makings of a satisfying ARPG. Unfortunately, the game fizzles out near the end with some limiting design choices and a lack of variety. But regardless, it’s definitely worth checking out if you’re a fan of these kinds of games. Victor Vran does a great job of getting you excited right away. 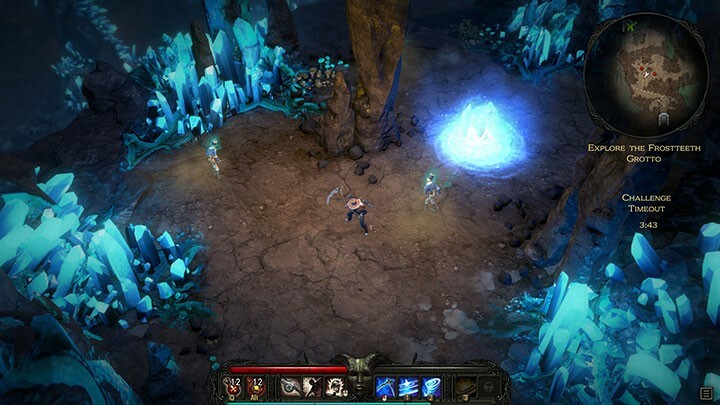 As the titular character, you’re sped through a short tutorial area that shows off the unique features of the game. Enemies shoot projectiles that you can dodge with the tap of a button instead of clumsily walking through them like in other ARPGs. You can jump at any time, reaching new areas and even wall jumping to go even higher. What’s more, you can rotate the camera 360 degrees to get a better view of your surroundings and maybe even find hidden passages. These fresh changes to the classic ARPG formula make Victor Vran feel more dynamic and arcade-y, making movement and exploration fun. Like every good ARPG, there’s loot and gear to be found. 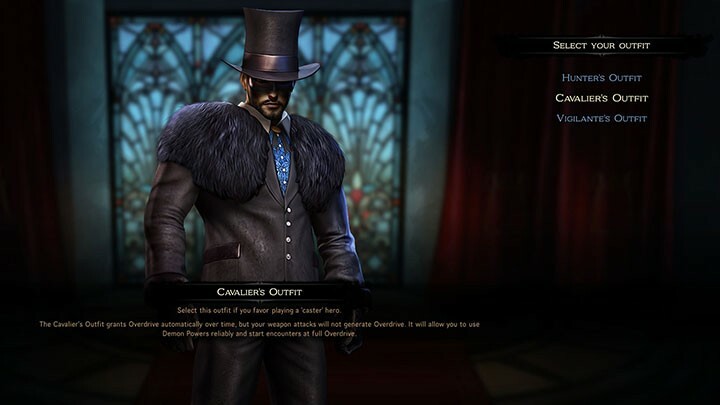 Victor Vran doesn’t deviate much from the standard rarity system, where junky common items are obviously less powerful than gold-colored rares. But unlike other games, the gear isn’t just to power yourself up or add effects. Skills are tied to the weapons themselves, meaning if you’re using a shotgun, you can only access skills exclusive to that weapon. Want to AOE down a horde of low health monsters? Use the shotgun’s powerful blasts to blow them away. Have a higher health champion enemy? Use the sword to rhythmically execute critical hits until it’s destroyed. Each weapon has two unique skills, and playing around with them feels great as you don’t have to respec skill points or start a new build from scratch. Rounding out the new features are outfits and destiny cards. Outfits are your armor, but they do more than protect from damage. Every outfit changes how you accrue overdrive — the spell power in this game — and they alter your approach to combat. The Cavalier is for caster builds, constantly regenerating overdrive so you can start battles ready with full spell power. The Vigilante is for crit builds, where only critical hits generate overdrive. Destiny cards also help to reinforce your preferred playstyle, as they can grant effects such as more critical chance, explosive counterattacks, and freezing blasts. These features aren’t as game-changing as playing a different class like in other ARPGs, but they add a bit of customization. You also get to explore the world map a little, and it gives off an almost mobile game vibe. 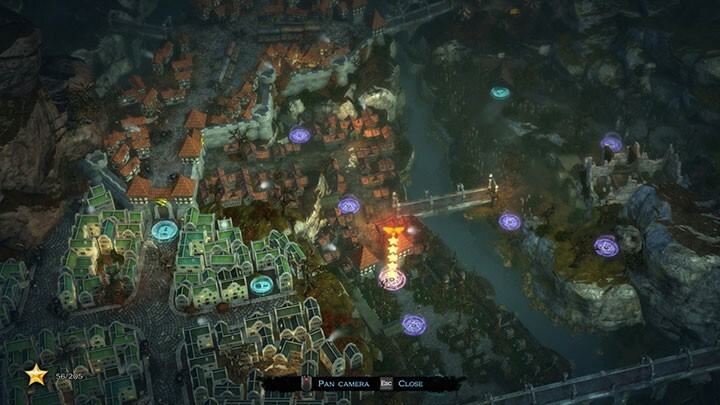 Each area has quests to complete, with each quest granting a small reward and a star for the area. Quests are generally simple tasks like killing a certain number of enemies with a specific weapon, or doing something within a time limit. Completing all five quests gives you a small reward, and a 5-star rating for the area. Trying to get your map filled with glowing 5-star ratings is a fun diversion, but it’s not a particularly exciting part of the game without better incentives than extra loot, gold, and XP. Around halfway through Victor Vran, the game’s limitations start to show. Weapons don’t ever get more than two skills, so there’s not much depth to gearing after you pick your favorite. Weapon modifiers also don’t really affect how you approach combat, with simple bonuses like more damage or critical chance. It would have been nice to have more interesting effects that actually change your strategies. For example, a short teleport for the sword would have been really cool, allowing more options with even just two skills. 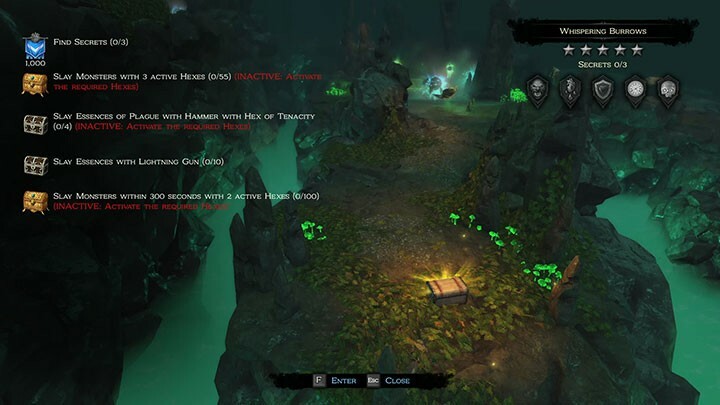 The quests also start to recycle, with the same types of objectives each time. 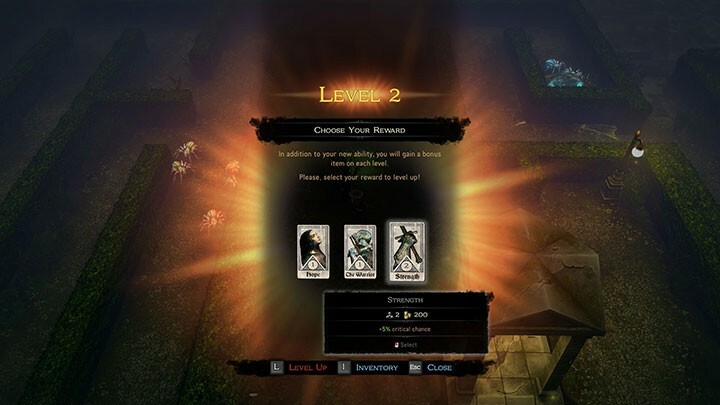 The game does introduce Hexes to try to change things up — optional difficulty modifiers like “enemies do 50% more damage” — but they don’t give you a reward boost to compensate for the added challenge. After a few areas, the rewards for quest completion don’t feel big enough to spend the extra effort. But getting the negatives out of the way, Victor Vran is still an enjoyable and exciting game. Combat starts to get much more hectic with more enemy density, sometimes filling the screen with dozens of monsters at once. 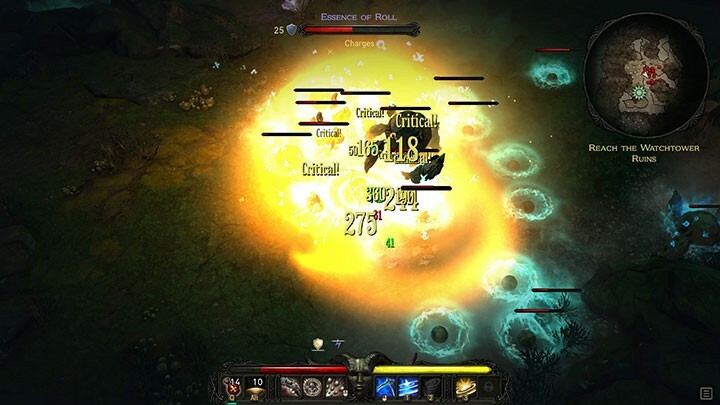 It’s exciting to sneak in attacks and magic blasts while kiting around with frantic dodge rolls. At its core, killing things in Victor Vran is quite satisfying, and it doesn’t feel boring even with limited skill and gear choices. It also doesn’t hurt that the areas are all beautifully designed, with lots of variety traversing locations like ice caves, libraries, and woods. There’s a nice sense of exploration as you discover each area’s hidden secrets, all while carving (or shooting) your way through the enemy hordes. 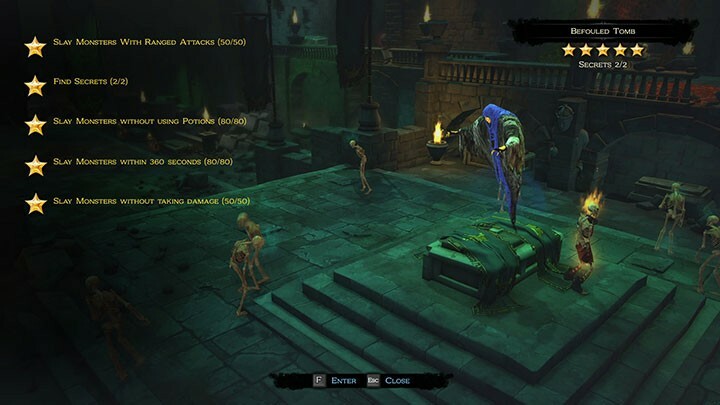 Here’s where Victor Vran starts to get dry, with its lack of variety exposed even more. While combat is still fun, there’s no room for it to grow. You can’t experiment with new character builds like in other ARPGs, because there really aren’t any builds in the game. Even though killing enemies is still just as satisfying as ever, there’s no change in how you kill them, or even what you’re killing. You’re still stuck with two skills per weapon, and still fighting the same set of spiders, skeletons, and ghosts. What’s worse is that Victor Vran‘s plot is a mess of gothic-fantasy cliches, and it doesn’t motivate you to progress through its story. On the plus side though, there’s some cheesy tongue-in-cheek humor spread throughout that keeps things light-hearted. Victor Vran starts to get dry. The game does try to add a new feature to spice things up, called transmutation. This allows you to power up your weapons, destiny cards, and demon power spells by combining items of the same rarity. It sounds great on paper, but unfortunately it doesn’t feel useful because the requirements are too high for too little gain. For example, you need three other items of the same rarity to upgrade a single stat a small amount. Sacrificing three rare weapons for a small +2 damage boost doesn’t really help much, not to mention that rare weapons are very hard to get. It’s actually easier to just buy stronger items from vendors, which makes transmutation underwhelming and unused for most of the game. By the end of the game, Victor Vran loses a lot of its charm. The last areas aren’t scaled well and can be frustrating, with too many high damage enemies that take a long time to kill. It’s actually safer and more efficient to just run away from enemies at this point, which isn’t good design; combat should feel satisfying and fair, not tedious and overwhelming. The loot drops also don’t improve enough to keep up with the difficulty. It almost seems like the game wants you to power up through transmuting, grinding lots of drops to slowly increase your stats. Needless to say, the effort to reward ratio of doing this isn’t well balanced. There are some boss fights that are fun, with unique arenas and methods to defeating each one. There’s a climbing spider that needs to be knocked down from the ceiling, a demon shielded by its minions, and a magic caster that blasts various spell patterns, to name a few. They add the only bit of new variety the game has seen in several hours, but it’s just not enough to make Victor Vran‘s final moments compelling. Once you do beat the game, your only reward is unlocking elite challenges. These are even harder quests than the normal versions, but they don’t offer better rewards. Thus, there’s not much replay incentive once you kill the final boss. 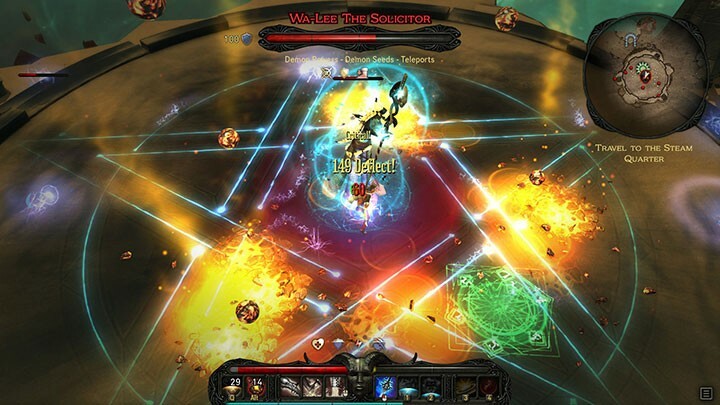 Victor Vran should be applauded for trying new things in the ARPG genre. Its movement mechanics and easily swappable gear choices make for a fast and fun monster killing experience. However, without more variety to really expand on its innovations, the game eventually gets dull. 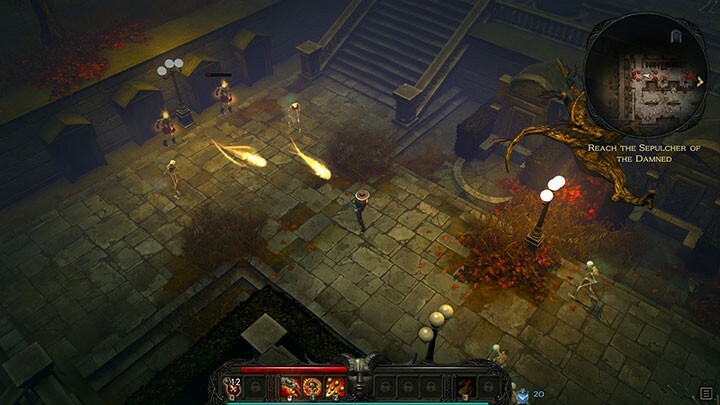 If Haemimont Games decides to make a sequel and really flesh out Victor Vran‘s gameplay and content, it should be a contender to even genre staples like the Diablo series.